We are fortunate to have ten designated rehearsal and practice rooms, including two halls suitable for larger ensembles and public events. 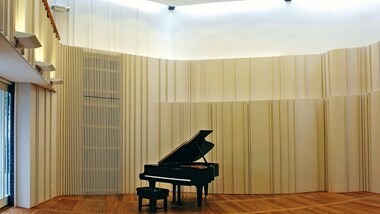 Each space includes at least one piano. We also possess a fine Goble harpsichord modelled on a 1727 Christian Zell original as well as virginals, a spinet and a restored Broadwood square piano dating from the 1820s. 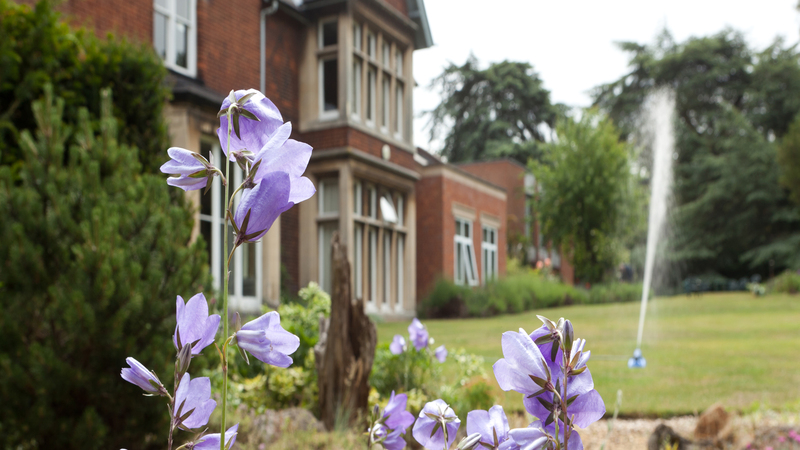 Whether or not you are a musician, you can take advantage of the idyllic calm of Benslow Music's campus. Our Stay and Play product allows you to come with a few musician friends and play to your heart's content in a dedicated practice room equipped with a piano. All meals are provided so you can focus completely on your musical enjoyment. If all you need is somewhere to stay for a night or for longer, we provide keenly priced late-booking Bed and Breakfast, with ensuite or shared bathroom facilities, through our trading company Benslow Music Enterprises, whenever space allows. When courses are in residence you will enjoy the special ambience of being surrounded by music and musicians, and when they are not you will marvel at the tranquility and beauty of our grounds – an ideal retreat. Hitchin, just a 30-minute train ride from London, is the ideal base for exploring some of England’s most beautiful coutryside, while the historic town with its fine parish church is a destination in itself. And we have plenty of free parking. "Beautiful garden setting for breakfast with live practice music sessions from the students. What a joyful way to start the day." "Excellent location very comfy beds. Great breakfast. A refreshing change from those horrible corporate soulless hotels." You might prefer a traditional Victorian bedroom with a lovely pine floor and antique furnishings, or you might feel more at home in a modern room. 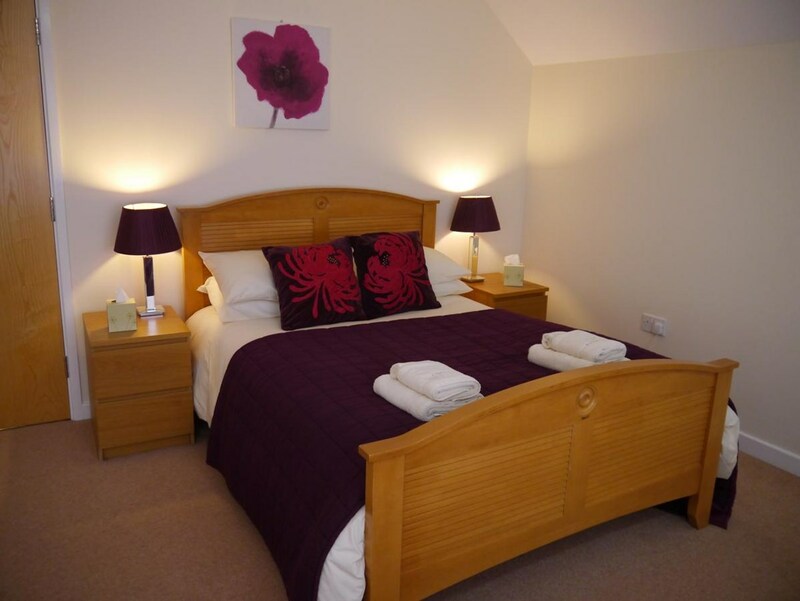 Whatever your choice, we offer a varied range of comfortable single and double en-suite and standard rooms. No more than three standard rooms share a bathroom and all standard rooms have a wash basin. If you need more shampoo or shower gel or you have left your toothbrush or razor at home, please ask our Receptionist for help. Benslow Music's facilities are available for private hire in part or in their entirety. 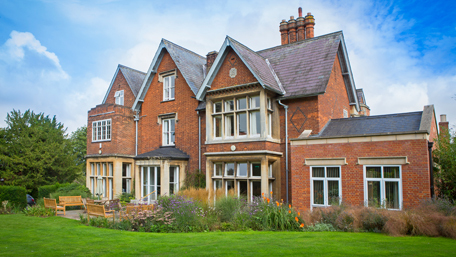 With bed and breakfast starting from just £50 per night we offer great value for money!